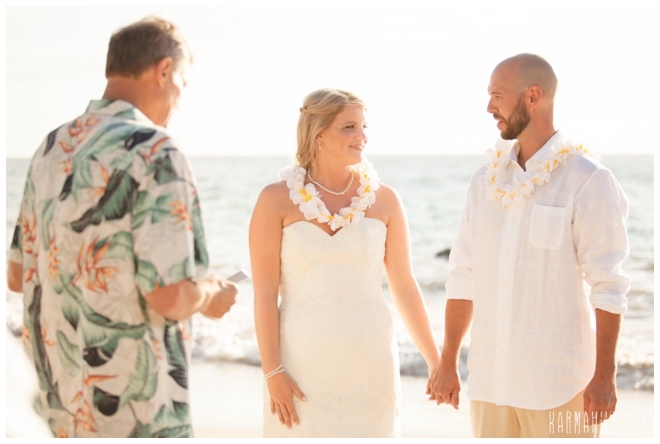 Heather and Rob held their ceremony at Southside beach just before sunset, they were surrounded by family and friends and Heathers dad partnered with Reverend Tino Rosete to create a customized and personal ceremony this couple would never forget! 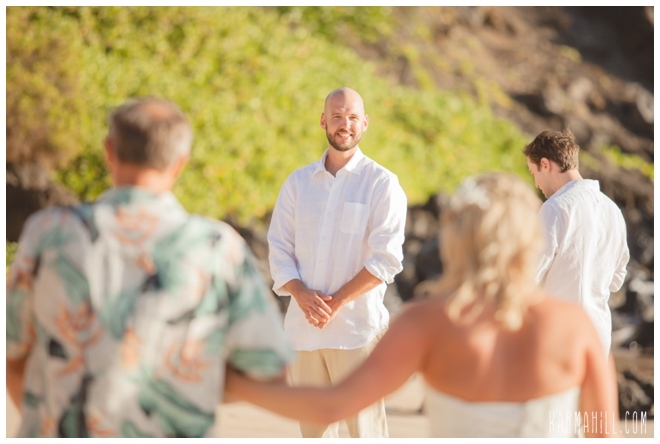 After the ceremony the couple got lots of hugs from family and friends and then we whisked them away for some romantic couples photos while the rest of their group went to set up their reception at a friends home in Kula. 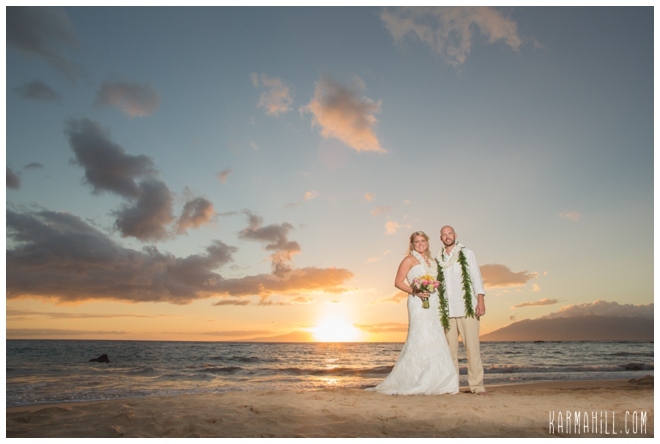 It was such a pleasure to work with Rob and Heather, they are not only beautiful on the outside, but kind and wonderful people on the inside. 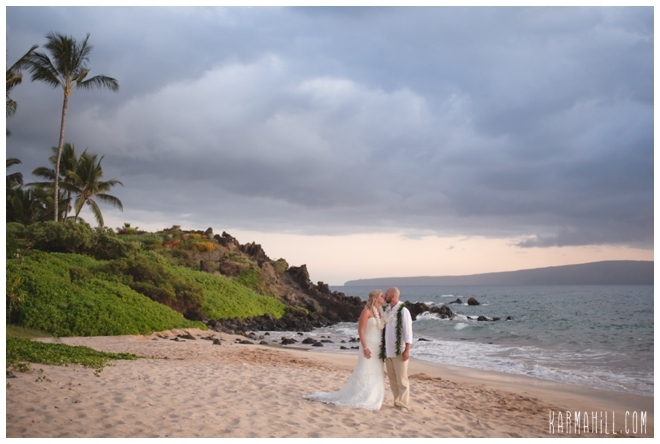 Mahalo to you both for choosing us as your Maui Wedding Coordinator!! 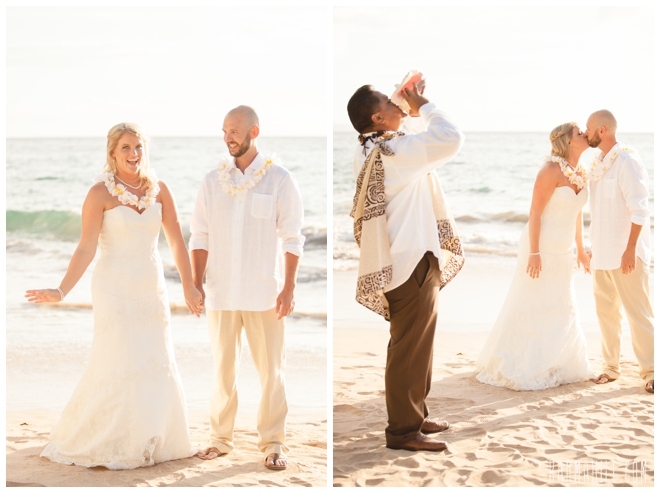 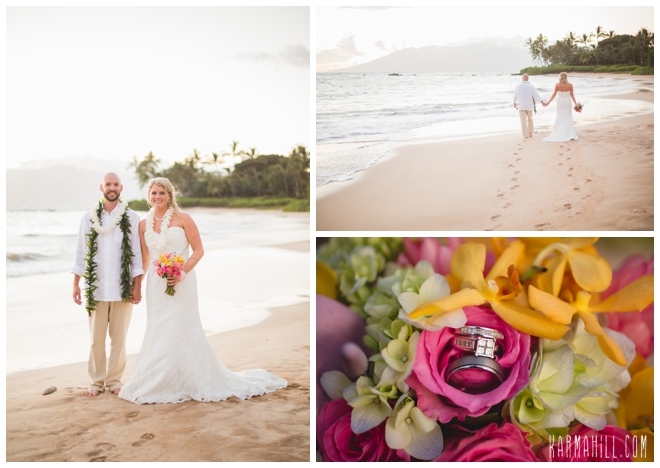 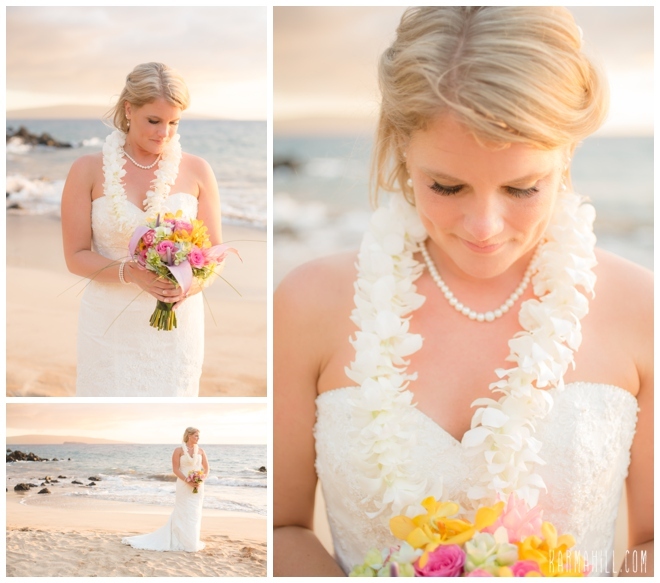 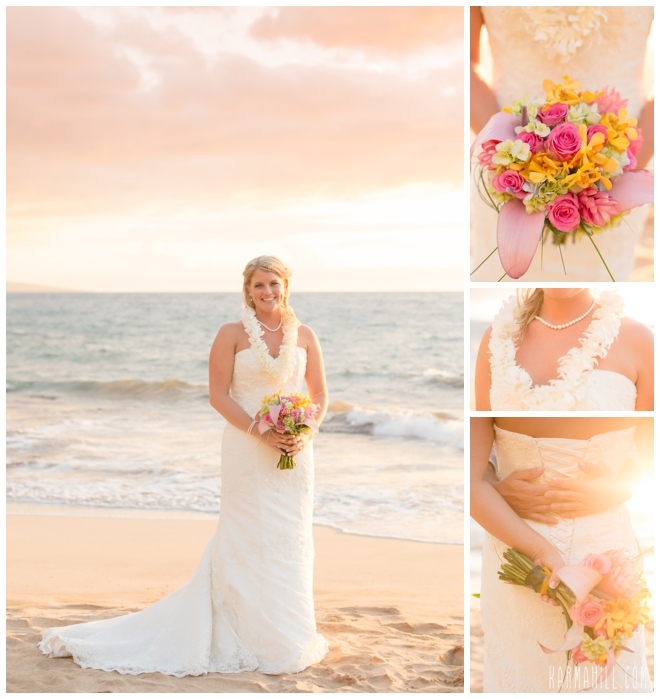 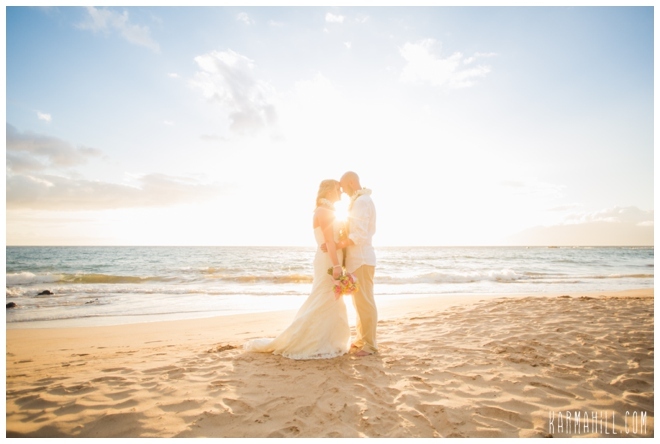 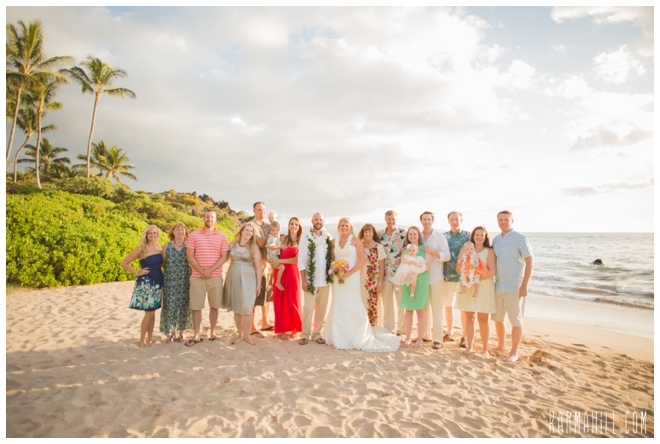 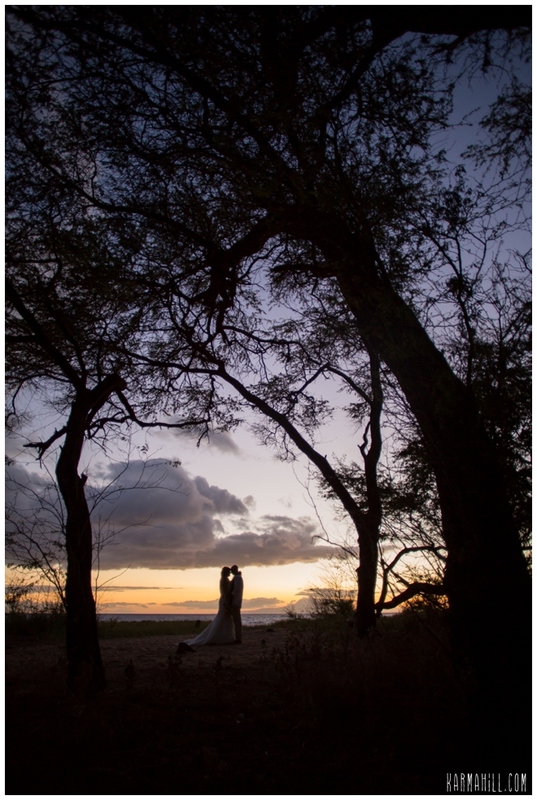 Check out our last Maui wedding with Amanda & Ian!